Just a few days ago we reported that Daimler-Benz, parent company to both Mercedes-Benz and Smart, was planning to decide by the end of this year whether or not to sell, keep, or discontinue the Smart brand entirely. Today is has been officially announced that Daimler has made a deal with China’s Geely Automobile Holdings to sell a 50% stake in Smart. The two automakers are forming a 50-50 globally focused joint venture to own, operate and further develop the Smart brand, which will consist of EVs only. The choice of Geely is not without precedent. Last year, Geely bought a nearly 10% stake in Daimler at a cost of $9 billion to become its biggest shareholder. Daimler was previously having difficulty marketing and selling Smart cars not only in North America but also in other parts of the world. Last year, its global sales dropped by 4.6 percent. An industry analyst estimates Smart will lose 500 million euros to 700 million euros annually at this rate. Daimler was already in the process of converting Smart into an all-electric brand with a focus on urban mobility, two factors that have a big appeal in China. Chinese automakers also happen to be investing heavily in electrification in an effort to curb heavy pollution caused by fossil fuels. The populations of major Chinese cities have also swelled, but people still need to get around town somehow. Public transportation methods help but they’re not the end-all solution. Ultra-compact, all-electric city cars with a proven reputation for quality are ideally suited for China, unlike in the US, for example. 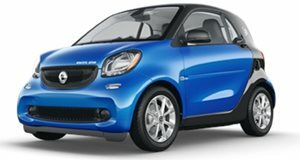 Smart never caught on in this market, although it did for a time in Europe. Daimler will soon get a new CEO, Ola Kallenius, who'll be happy to have a full partner to help with Smart's recovery.